If you’ve not used newsjacking for content marketing, it’s worthwhile to check out to include in your business blog calendar. The technique isn’t new but, is effective to generate more site traffic. Newsjacking is the process of incorporating a popular headline into your blog post. It leverages the power of a trending or developing subject to pique interest. Combining it with your niche increases your blog’s appeal and promises value to potential customers. Although it’s often cautioned newsjacking is only effective for a short cycle, this assertion isn’t always true. In fact, the technique is usable over a period of time, if the subject material warrants. One of the biggest appeals of social media is the ability to see stories unfold. 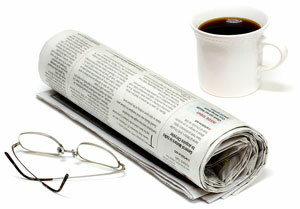 With live coverage and a multitude of reporting outlets, news is available at any time. What’s more, newsjacking is also applicable to developing events; like the announcement and eventual roll-out of a new product or service. These often populate news reporting for weeks at a time. By incorporating news events into your blog and sharing it on social media strategically, your site will attract more visitors, allowing your brand to spread to a larger audience. Select a news story. If possible, it’s preferable to pick an item which is relevant to your industry but, it’s not necessary. Use an interesting topic appealing to a large audience. The more diverse its appeal, the better; like the newest iPhone iteration, a natural disaster, pop culture, or industry news. For example, a story about the death of a celebrity without a will or news of an interest rate drop will grab a lot of attention. Develop a tie-in. Your blog needs to tie into the storyline. So, think of how you can inject the news into your blog article and make it relatable to your industry and/or niche. Create an interesting and seamless tie-in so readers are not quick to click away. Introduce the news item right away. Introduce the topic in the first paragraph so readers know it’s not a bait-and-switch or clickbait title. Provide a synopsis of the story — keep it short and on-point. Transition to your message. Next, transition into your message using a smooth segue. Anecdotal and empirical information both work well and provide you the ability to give the audience something valuable and/or actionable. Continue with how-to steps, provide an explanation, or combination. Now, you can use newsjacking for content marketing to create more brand awareness by reaching a larger audience. Remember to publish high-quality, original blog articles regularly for good search optimization as well as provide useful information to current and future customers.